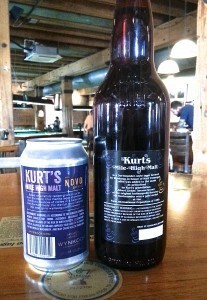 So how is it that Wynkoop came to have a Kurt Vonnegut beer? Well, it wasn’t long after our founder-turned-Governor John Hickenlooper got to talking with Kurt that the two men realized their connection. John’s dad was a fellow Delta Upsilon fraternity brother at Cornell with Kurt. As John’s dad died when he was seven, Kurt was able to to fill him in on some stories from their fraternity days (something about a turtle club and “Hickenlooper’s Lockenbar,” but we’ll leave it to your imagination). 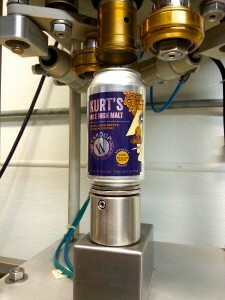 The recipe for Kurt’s Mile High Malt was actually the brainchild of Kurt’s grandfather Albert Lieber, who was the owner and brewer at the original Indianapolis Brewery. 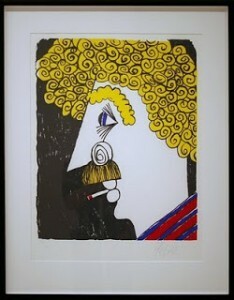 Kurt got to know his former classmate’s son and eventually the Vonnegut recipe changed hands. 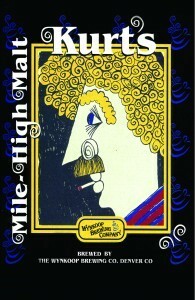 As mentioned in the passage above, Kurt’s Mile High Malt was first brewed at Wynkoop in 1996 using Kurt’s self-portrait for the label artwork. 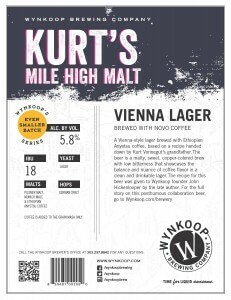 The beer was not brewed again until 2007 when it was brought back in honor of Kurt’s passing, then in 2013 it was revived once more as a part of the Wynkoop’s 25th anniversary celebrations. As there are too many beer-lovers, history buffs, and Vonnegut enthusiasts to ever let Kurt’s Mile High Malt get tucked into the recipe vaults for too long, it is being brought back by popular demand. We are releasing Kurt’s Mile High Malt once more on 4/20/14. For the first time, this beer will be available in hand-labeled cans as a part of our “Even-Smaller Batch” series. Hand-labeled, hand-canned, and hand-crafted, the cans will include the original artwork, staying true to the unique history of the beer and the Vonnegut legacy.